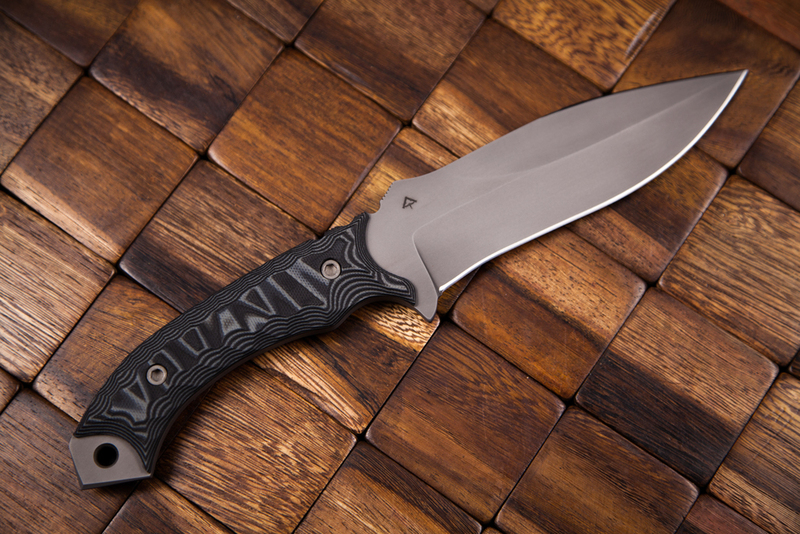 The Gutshot Fighter is an all around field utility knife. 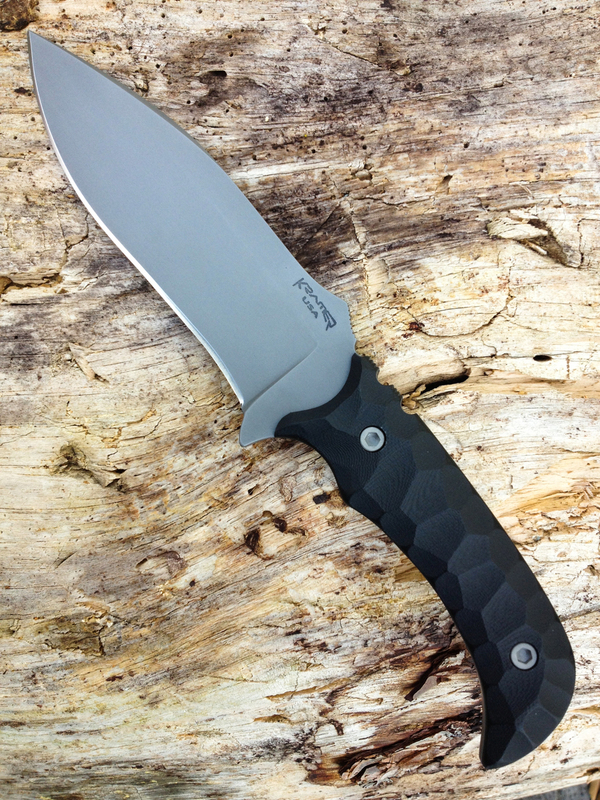 Made of 3/16 thick S35VN stainless steel it has an overall length of 10 3/8 and blade that is 5 1/4 long. 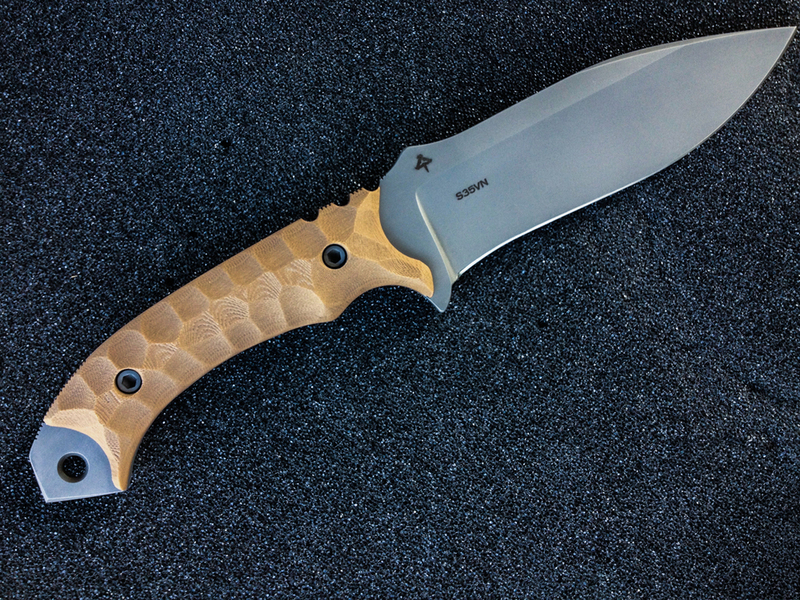 The Gutshot Fighter is a full size knife that is equally at home on your kit or in camp. The Gutshot Fighter is available in either single or double edge configurations at customers request. 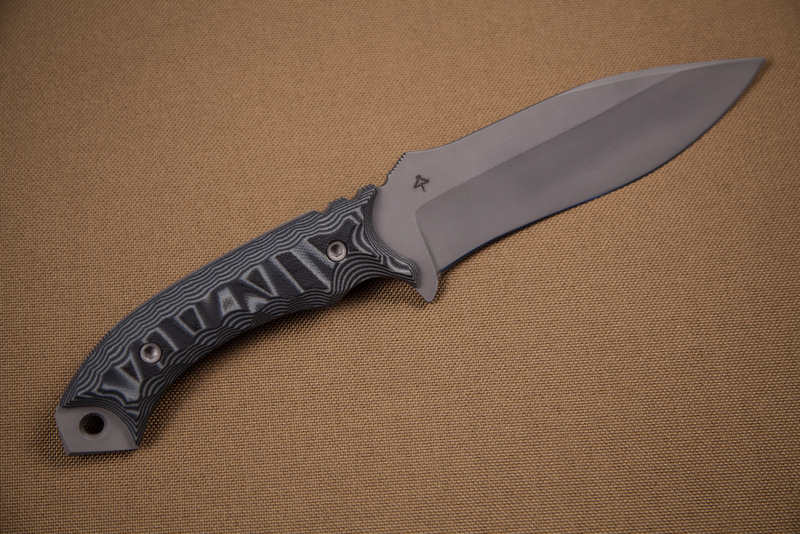 Knife comes with a custom molded kydex sheath with either MALICE clips or IWB loops.